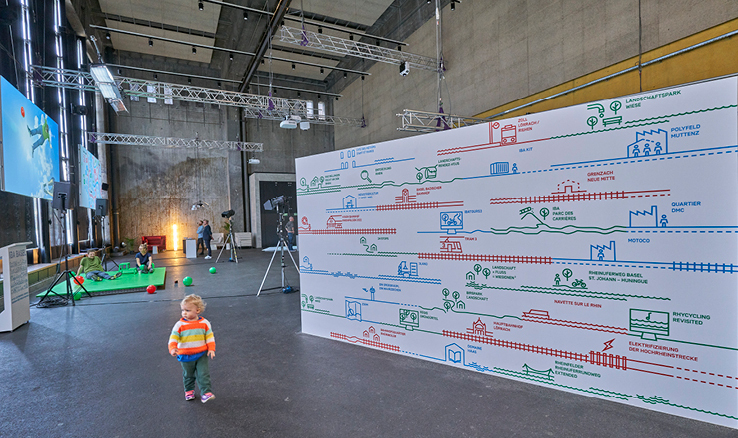 Conceived and developed for IBA Basel, the Expo was a parcours experience guided through seven interactive stations. 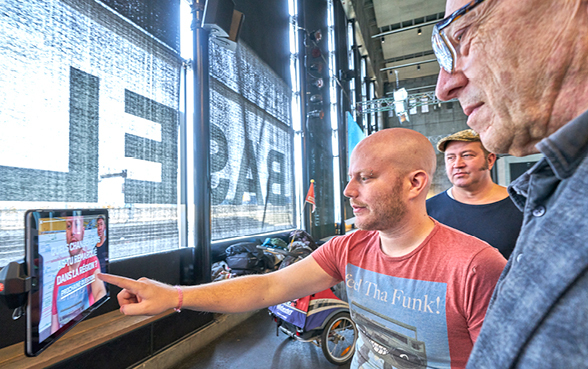 The organisation has been established in Basel for almost ten years and will culminate its efforts in the year 2020. 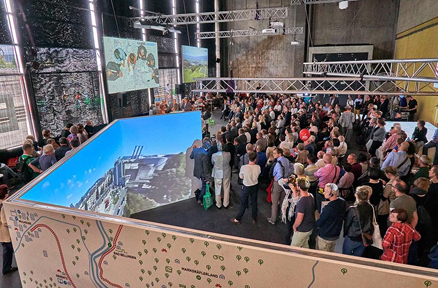 The Expo allowed for a multi-governmental tier institution to address their public concerns and to share with the general public their decade long activities performed so far. 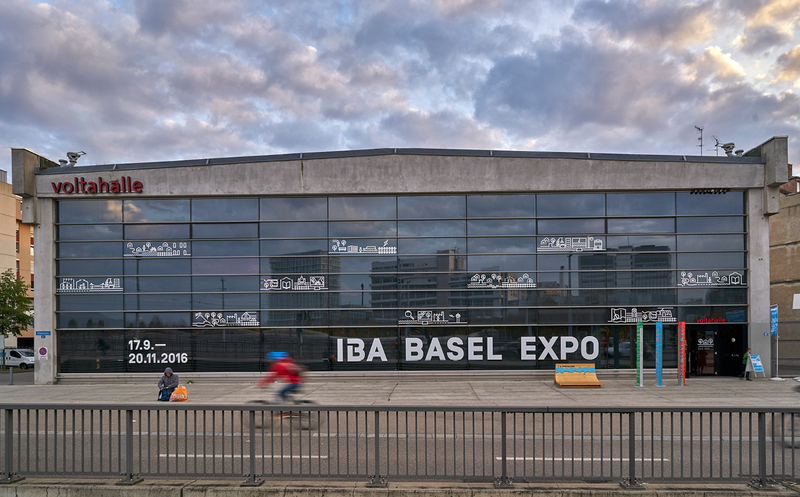 IBA Basel EXPO explores the past, present and future of the region and its multitudinary effects on its people, communities, cities and landscape. It is a narrative that begins with the individual and ends with an entire region. 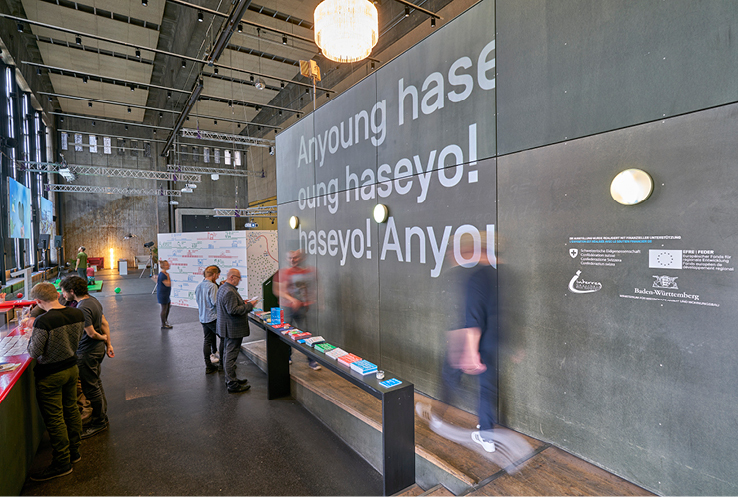 Accompanied by small recess areas for reading and discussions, the main exhibition area is introduced through a welcoming area located at the hall's entrance, where all 23 languages present in the region's agglomeration receive visitors. 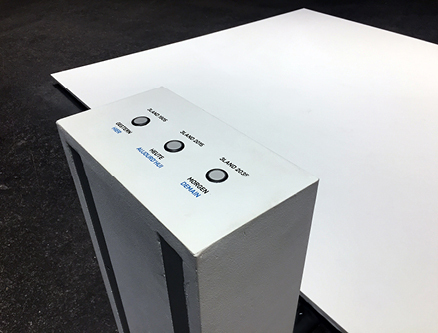 The welcoming station area is followed by a series of iPads running a custom built app that function as testimonial video stations. 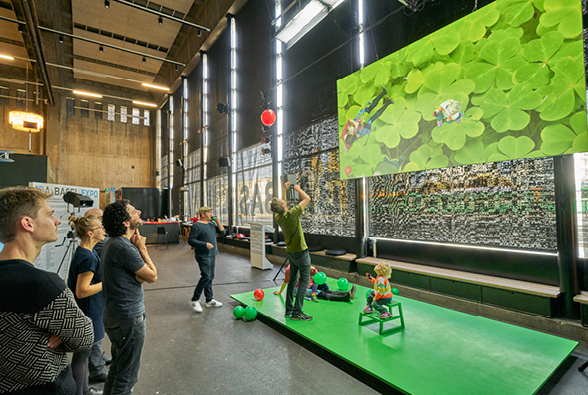 A bright green stage serves as a practical and interactive green screen that leads the visitor into the main space. 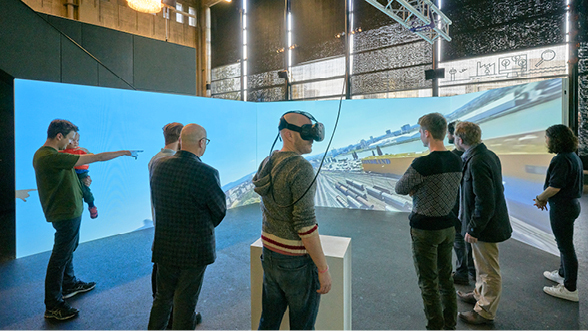 At the heart of the exhibition, visitors fly through three different IBA regions through a VR headset. 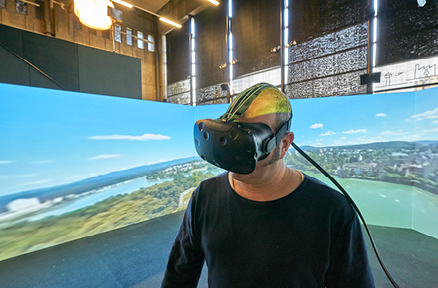 Whatever they experience in VR is live streamed onto a large concave 3-wall environment. 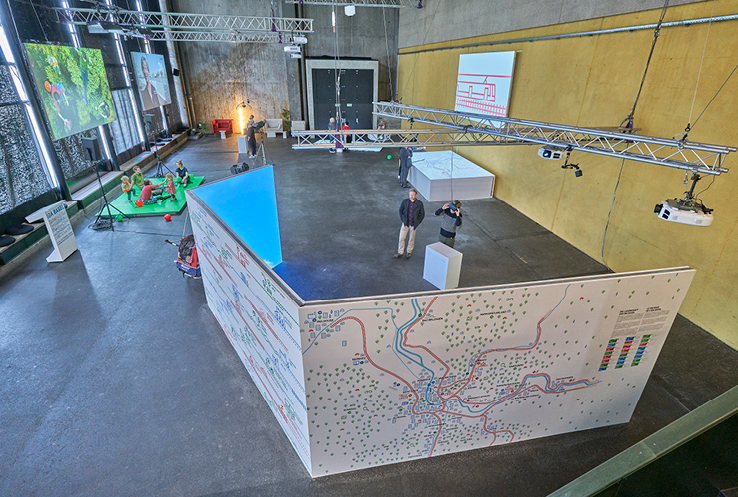 The convex side of the station’s walls display the history, goals and maps of the over-all IBA efforts. 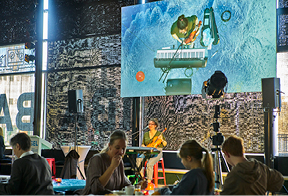 Other stations include a film viewing area, where the public can choose from an array of films produced for the event. 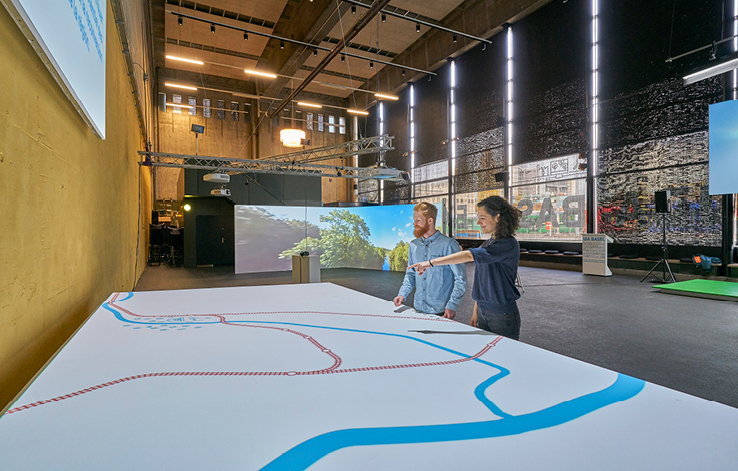 Leading from here, a station entitled "3Land: Yesterday, Today and Tomorrow", invites visitors to choose from three time periods, each describing the biggest urban development headed by IBA. 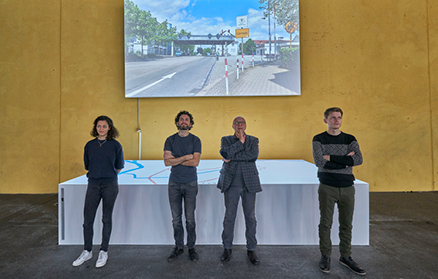 Through projection mapping, the public experiences the past, present and future changes performed in the border area of Switzerland, France and Germany. In upcoming years, these territorial borders are to cease to exist. 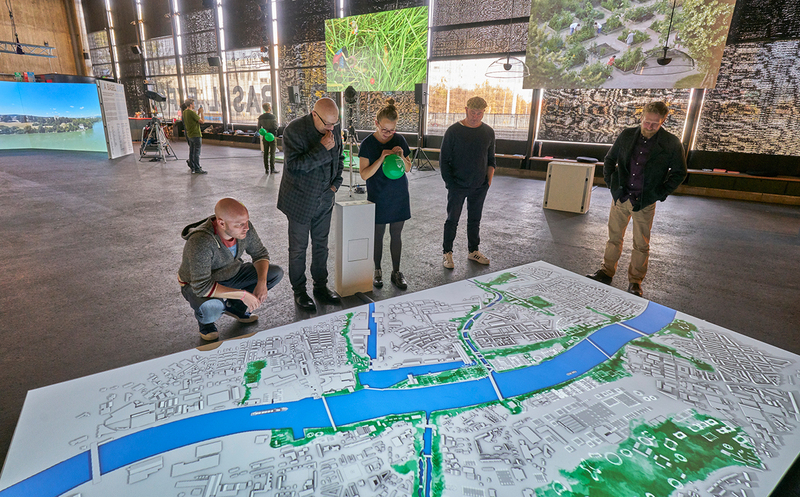 A final station gives the public the opportunity to explore in detail over 36 projects under the direction of the IBA Basel. 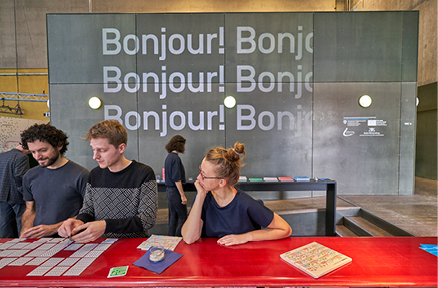 Additionally, we designed and implemented special project markers through out the entirety of the Swiss-German-French region. 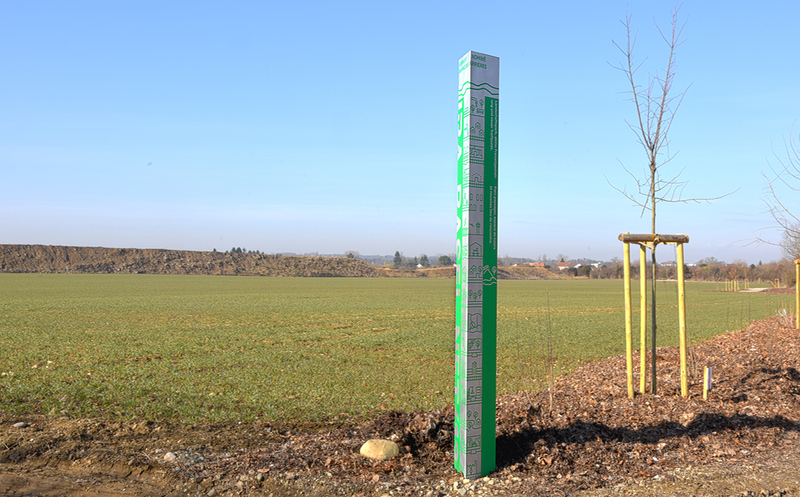 Each marker acts as a monolyth-like beacon, informing on the IBA’s presence and leading the public to visit their digital outputs. 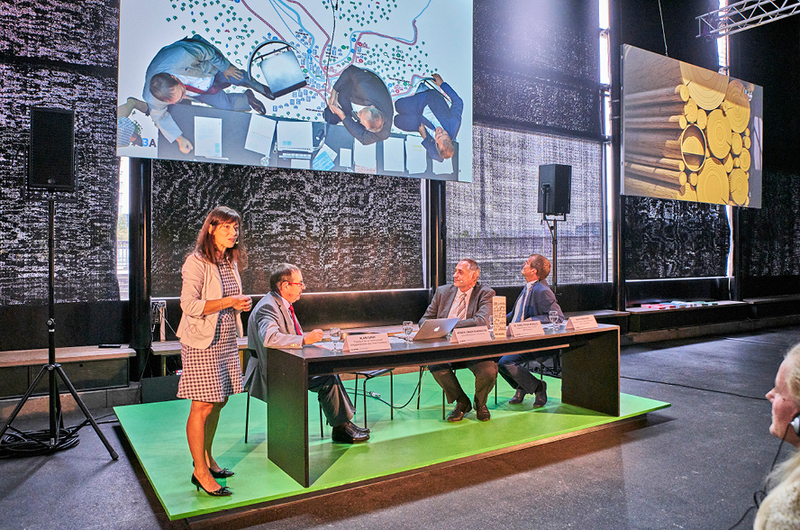 All markers were placed (and still remain) in the periphery of each one of the projects that IBA has developed or is to continue developing in the upcoming years. 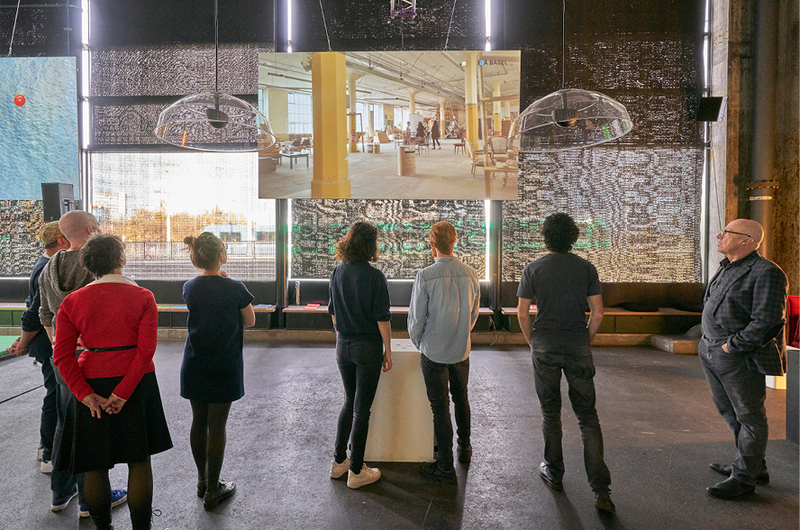 Design work was also performed in creating their post-exhibition website. 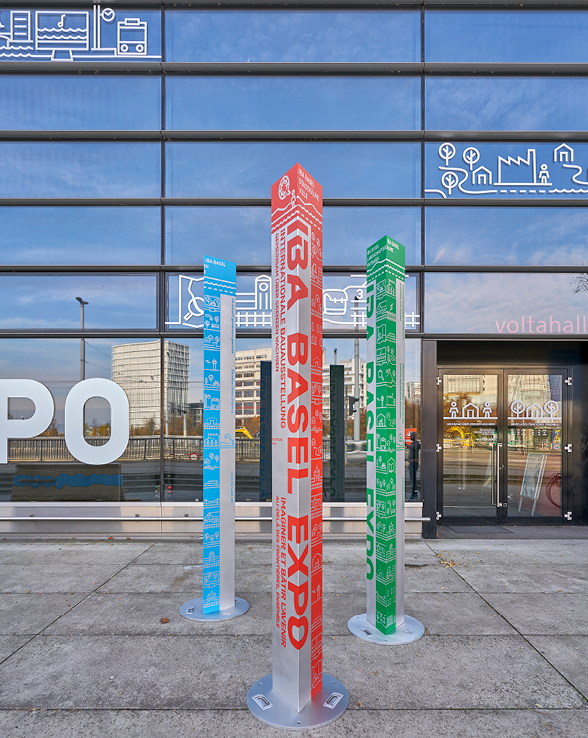 The IBA Basel EXPO was created as berger + stadel + walsh.